Everyone seems to have a 'junk drawer' in their kitchen. It contains things you use on a regular basis as well as other random items that you can't find a place for. The problem with that is that the more useless items you store in this drawer, the harder it is to find the stuff you do need when you actually need it. 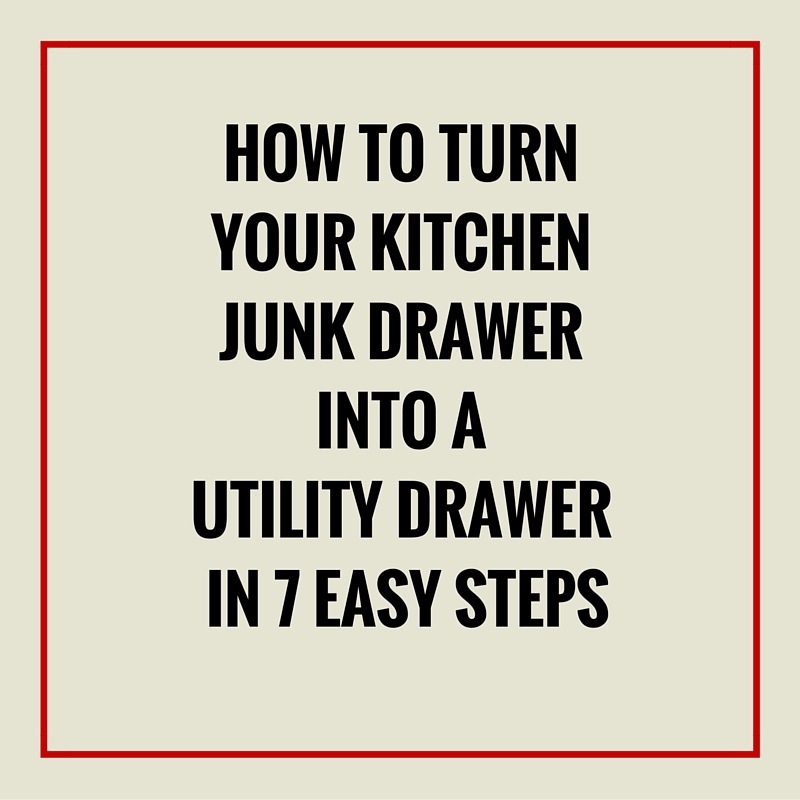 So here's how to turn your junk drawer into a useful utility drawer. You can find a drawer organizer anywhere but here's one from Amazon. A utility drawer organizer has several compartments in different sizes and can be purchased in several sizes depending on the size of your drawer. Dump everything out onto a table or the floor and sit down and prepare to sort and organize. Start sorting like items into piles and as you find trash and things that serve no purpose, put them in the trash. You may find that you have several buttons or paperclips in piles from your drawer. Buttons can go somewhere else, like the laundry room or a craft room, and paperclips should go in the office. This will also force you to do paperwork in the office rather than store papers in the kitchen. You will be left with several piles and you should ask yourself which of these items gets use in the kitchen. While note pads are great in the office, you may use them for lists in the kitchen so it's okay to keep some there. Pens, scissors, tape, lighters, rulers, chip clips, notepads, and jar openers are popular items kept in kitchen utility drawers. Some piles will have a lot of that item that you may not need. If you have 10 lighters and you only need one in the kitchen utility drawer, put the rest in a utility closet after discarding any old, beat up ones. Fill each compartment in your drawer organizer with like items. Find a way that appeals most to you when you open the drawer. If certain items can go elsewhere in the kitchen, feel free to put them there. Congratulations! You just successfully turned your kitchen junk drawer into a utility drawer!! I really, REALLY have to clean out my 'junk drawer' in the kitchen before it gets out of hand! It's not too bad....yet! Great tips, Ellen!